LG's new wireless earphones will disinfect while charging! Thanks to an interesting report published by our colleagues at Android Headlines, we can finally take a look at the new true wireless headsets that LG is preparing to launch during the course of this year: the Tone Free 2019. They have an extravagant feature that is certainly unique compared to the competition! Starting with the earphones themselves, it doesn't look like the design is about to be completely revamped compared to the model launched by LG in 2017. 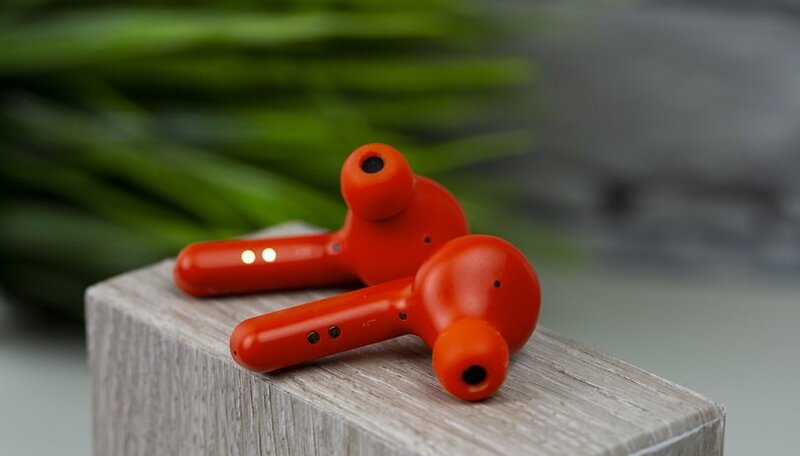 In the leaked photos, we can see small changes in shape such as the presence of a touch button and the abandonment of the rubber typical of in-ear headphones in favor of a shape more similar to that of Apple's Airpods. Even the characteristic "headband" to be placed behind the neck and to which it was possible to attach the headphones seems to be a thing of the past. We do not know if LG has any plans to sell this accessory separately for the time being. As a case for transport and recharging, this time the Korean company has opted for a more classic circular case. The new LG Tone Free should guarantee up to 6 hours of autonomy that becomes 24 taking into account the battery included in the transport case. The special feature of these earphones lies in this charging case. No fast charging technology or the like, however, but rather the case contains an ultraviolet (UV) LED light. What's the point? Disinfect the earphones! A similar technology is also used by some homes to transport dental appliances and helps to remove almost all the bacteria in the package. This feature may not be interesting for most users but for others it may make a difference. What do you think? Does LG's design and UV cleaning feature appeal?